For safe storage of 12 medium and 6 small Descent figures. Whether or not you strictly separate your heroes and monsters is up to you. Anyway, they both fit in here. 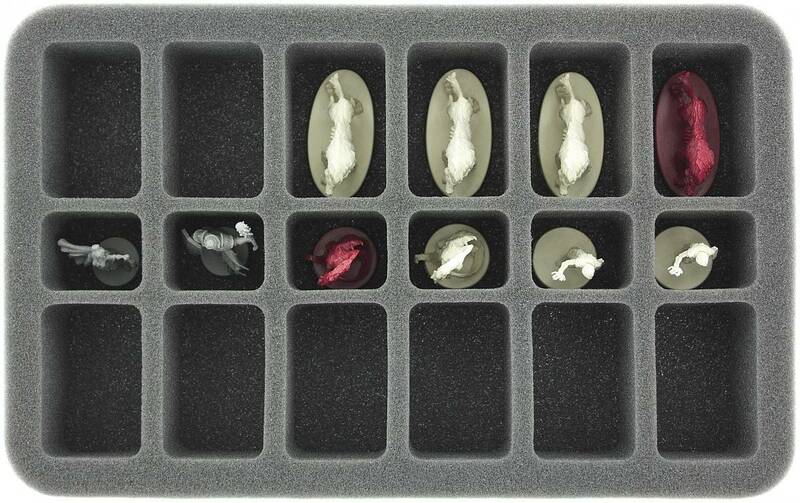 The half-size foam tray provides safe space for a total of 18 Descent miniatures. The foam tray consists of 12 medium-sized compartments measuring 54 x 35 mm and 6 compartments in the middle for smaller figures, measuring 27 x 35 mm. The figures should not be taller than 40 mm. This is usually enough to house the heroes and monsters in upright position. Due to the 10 mm thick foam base, the tray reaches a total height of 50 mm. 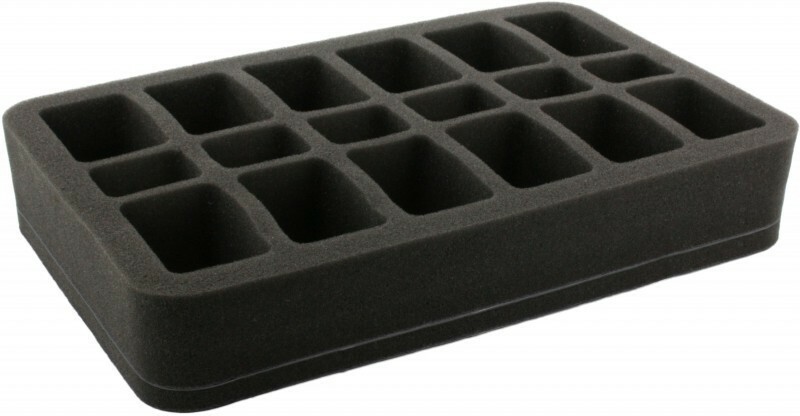 The foam tray is well suited for safekeeping on your home shelf or other storage options of your choice. It is also ideal for use with other Feldherr products such as storage boxes, messenger and hard cases. The foam tray measures 275 mm x 172 mm x 50 mm height.